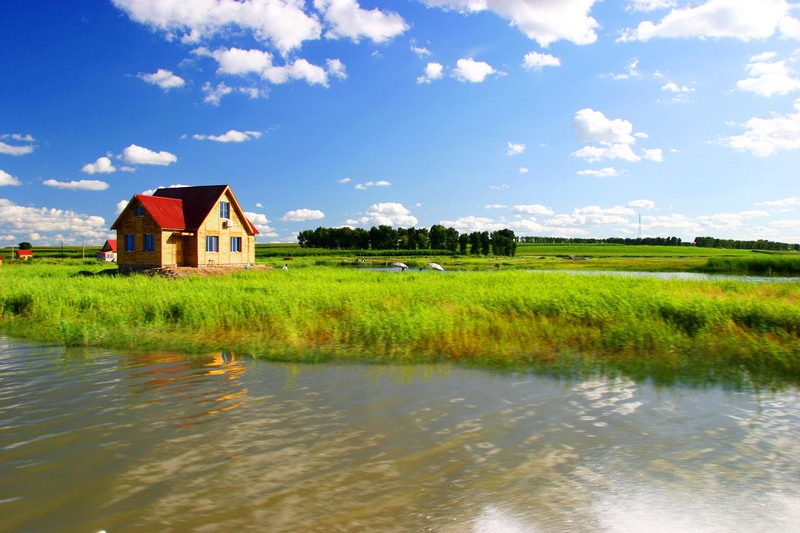 Chagan Lake Tourist Resort is a national water-conservancy-themed scenic area and National Nature Reserve. The resort is located in Qian Gorlos Mongolian Autonomous County of Songyuan City, Jilin Province, covering a total area of six hundred square kilometers. It is divided into seven functional areas: a central area, an area for grassland and Mongolian customs tours, a water entertainment zone, a picnic and camp site, a wetland area for ecological tours, a sightseeing agriculture area and an area for tours of petroleum facilities. 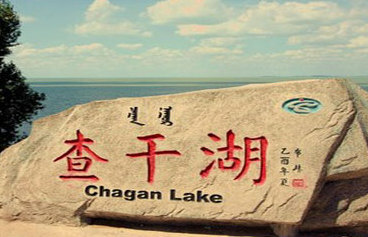 Chagan Lake means a white, holy lake in Mongolian. With a water area of 506 square kilometers, Chagan Lake is one of the ten biggest freshwater lakes in China and the largest inland lake in Jilin Province. The lake has rich natural resources and is a famous production base of fish and phragmites. It abounds in 68 species of fishes which belong to 15 families, such as carp, silver carp and crucian carp. The annual output of fresh fish adds up to more than 6,000 tons. The flora and fauna in the lake includes more than 20 species of wild animals, more than 80 species of rare birds and over 200 species of wild plants, among which 149 species are medicinal plants. 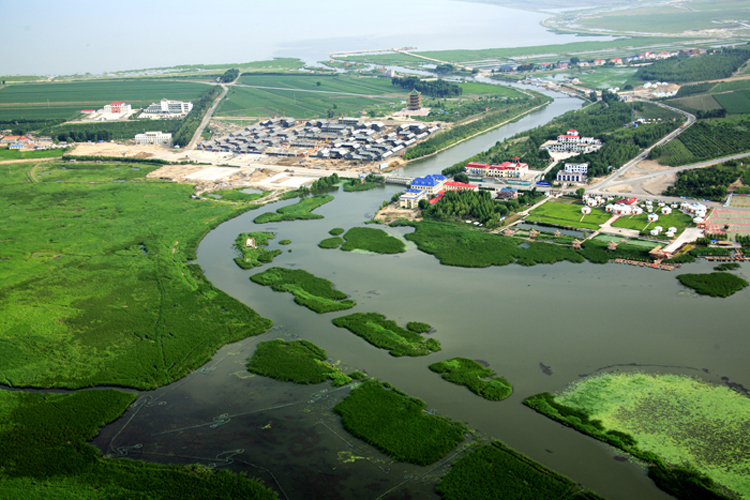 The main scenic spots in the area include Miaoyin Temple, Genghis Khan Temple, Prince House Commercial Street, Chagan Lake Fishing and Hunting Culture Museum, Swan Tower, Ruins of Qingtou Mountain, the Water Park, the Leisure Fishing Field, the Grassland Racecourse, and the Civilian Shooting Club. No through entrance ticket. Scenic spots charge separately. Ticket is 35 yuan per person for Miaoyin Temple (free in winter), Genghis Khan Temple, Prince House Exhibition Hall and the Fishing and Hunting Culture Museum. Special groups such as the elderly, the disabled, students and children can enjoy half-price discount. Parking lot: There are parking lots (chargeable) in each scenic spot and Chagan Nur Square. Parking fee: 5 yuan for small cars, 10 yuan for large vehicles. Start the 2.5-hour drive from Changchun along Huichun-Ulanhot Expressway, by way of Nongan County and Songyuan City, and then arrive at the exit of Chagan Lake Scenic Spot.